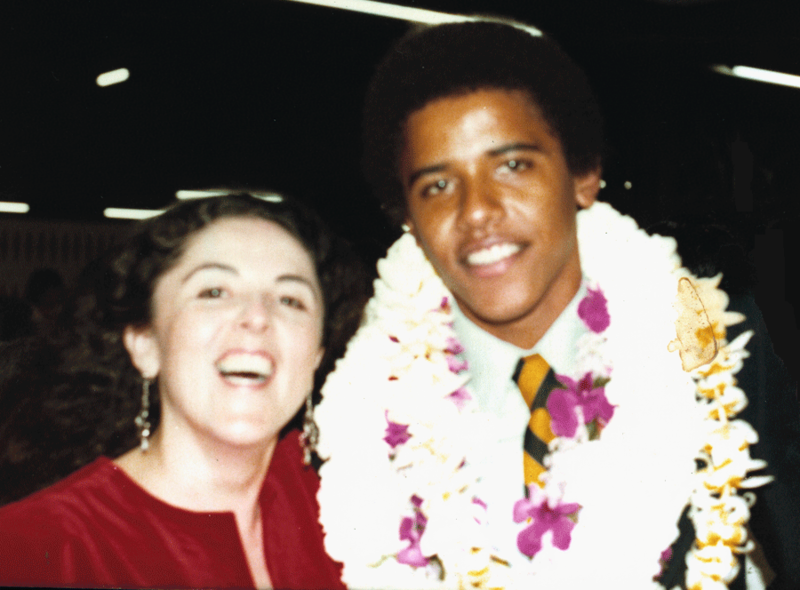 During a pivotal time in history, when the world was focused on the son, Barack Obama, a photograph diverted journalist Janny Scott’s attention to the mother, Stanley Ann Dunham. I had done a fair amount of delving into tidbits of Ann’s life, enough to know that she was clearly a phenomenal woman. I was also interested to know more about the woman who chose to write about her. 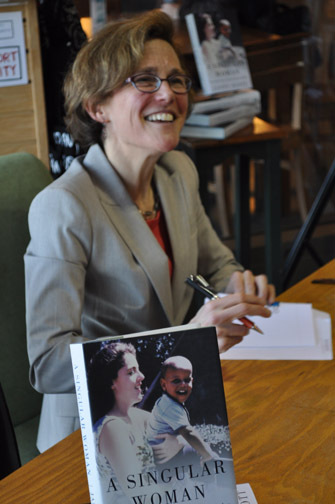 Recently at the Ferry Plaza Book Passage in San Francisco, Janny granted me a fifteen-minute interview before talking about her new book, A Singular Woman, The Untold Story of Barack Obama’s Mother. When we shook hands I immediately sensed, through her warm, bespectacled smile, that Janny Scott meets no strangers, as we say in southwest Georgia. I got the feeling that this, coupled with her organized, focused professionalism, served her well in the two and a half years she spent researching the book. That effort included retracing Ann’s steps and interviewing nearly two hundred people who in some way touched her life, including colleagues, friends, professors, relatives, the President and his sister Maya Soetoro-Ng about whom I’ve written here before. The book is well worth the read. Through it, Janny gives us a much-needed wider perception of the mother of America’s 44th president, a woman who was exemplary in her unconditional love for her son and her absolute belief in his gifts. 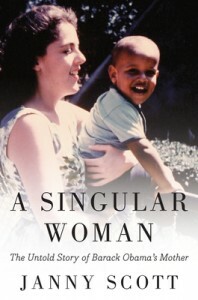 She makes it clear in the prologue that A Singular Woman is not a book about President Obama, but “it is a book about his mother. But she shaped him to a degree he seems increasingly to acknowledge”. When Janny went to the Oval Office and interviewed Persident Obama in July 2010, thirty minutes was simply not enough time, but she made the best of it. Janny writes that he saw his mother as a strong, persistent, resilient woman who was disorganized and uninterested in the conventional homemaker role, and often needed her parents to “smooth over some of her choices.” He does not, however, hold those choices against her. Janny writes about the many over-simplified versions of Ann Dunham that reduce her to the corn-fed white woman from Kansas, the antithesis of the black father from Kenya. She points out that in her son’s book, Dreams of My Father, “she is the shy, small-town girl who falls head over heels for the brilliant, charismatic African who steals the show…the naive idealist, the innocent abroad”. And by frenzied tabloid and internet accounts, Janny writes, “she is the atheist, the Marxist, the flower child, the mother who ‘abandoned’ her son or duped the state of Hawaii into issuing a birth certificate for her Kenyan-born baby, on the off chance that he might want to be president someday”. At twenty-four, she moved to Jakarta, Indonesia with her young son toward the end of extreme anti-communist violence there. Maya was born three years later. She adored both her children and believed her son had the potential to be great. He jokingly said she raised him to be a combination of Albert Einstein, Mahatma Gandhi, and Harry Belafonte. Then she died at fifty-two, never knowing who or what her Barry would become. 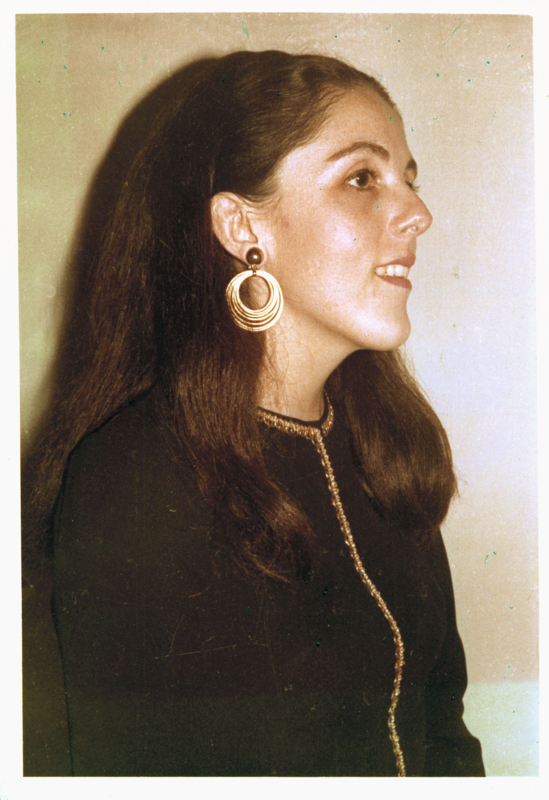 I wanted to know first-hand what the process of writing the book was like for Janny, about the spark that ignited this journey for her, knowing her role in creating this printed legacy of Ann Dunham, someone who came into astonishing notoriety after her death. She said—first and foremost—that she was guided by what she always relies on as a journalist: a sense that this was a story of interest to her that she thought would interest others. And she pursued it. It is the persistence and determination of her pursuit that we have to thank for this phenomenal work. As a result, Janny was extremely conscious of getting everything as accurate as possible, getting a “calm balance in the way I presented things”. This is where skilled organization entered in, designing an effective way of working. More on that later. In 2008 when Illinois Senator Barack Obama ran for president, Janny was writing biographical pieces on him for the New York Times. One of the people she interviewed sent her the photograph that sparked the journey, and told Janny that if she ever wanted to write about Ann, they knew a lot more about her than they did about the Senator. 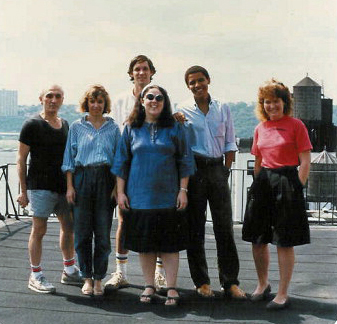 Janny realized that she had never thought about the mother of Barack Obama and didn’t know anything about her, and so she wrote a piece about Ann for the Times which ran in March 2008. 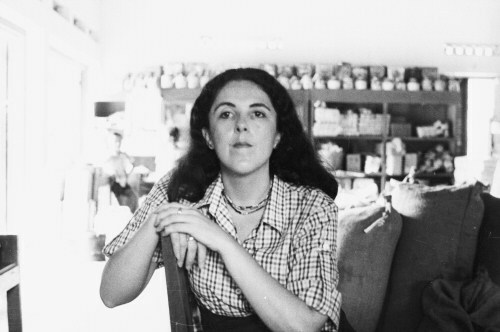 As it turns out, many people were genuinely interested in Ann Dunham’s courageously unconventional life so ultimately the piece got a huge amount of attention, and because of that she was offered the chance to write the book. As you can imagine she amassed volumes of material. This is her first book so she had not done research on this scale before. Halfway through the process a friend tried to show her how to use the computer to organize things, but this did not work for Janny. She opted for the low-tech system of file folders. Each folder held all the sources for one chapter. 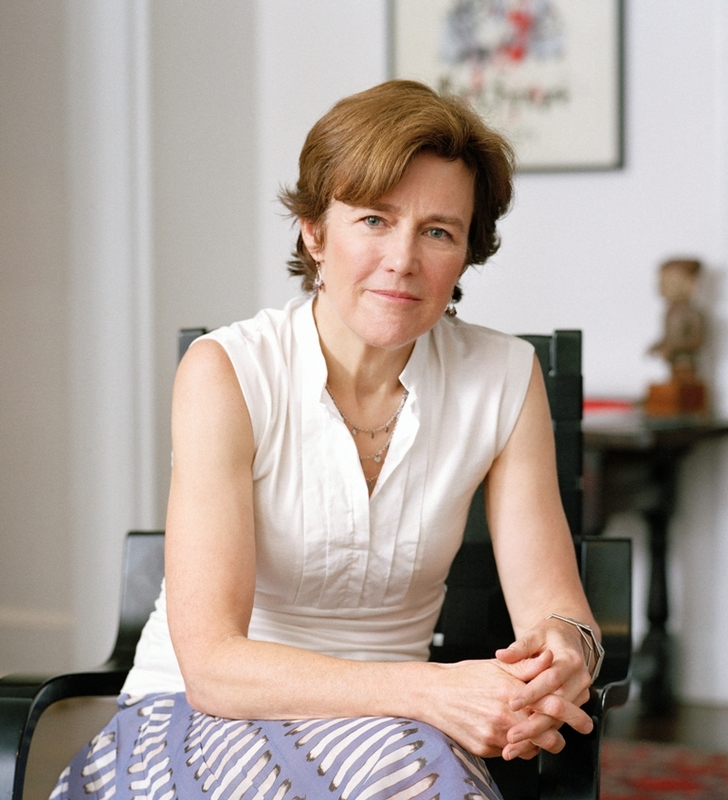 She felt the chronological structure suited the telling of Ann’s life well, and the choice to end the book with President Obama came organically since her thirty-minute interview with him happened towards the end of the journey. At the end of her talk at Book Passage the first woman to raise her hand in the audience thanked Janny for writing the book and told her what a wonderful job she did. I echo that sentiment. And Janny, with regards to singular women ~ it takes one to know one. 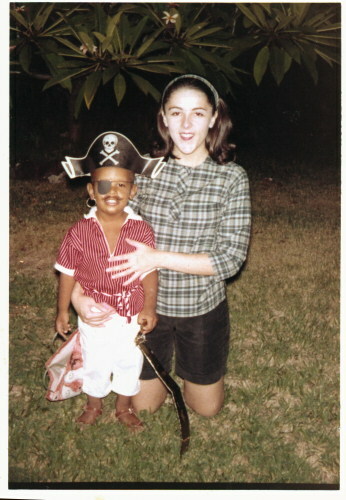 Photos are from the Friends and Family of Stanley Ann Dunham unless otherwise credited.